An aerial view of Train 9. Train 9 reached the Ready for Start-Up (RFSU) status in June 2016. It has a production capacity of 3.6 million tonnes per annum and is expected to commence commercial operations in the first quarter of 2017. KUCHING: Petroliam Nasional Bhd (Petronas) yesterday announced the production of first commissioning liquefied natural gas (LNG) cargo from the newly completed LNG Train 9 in the existing Petronas LNG Complex (PLC) at Bintulu. The first commissioning cargo was produced 42 months after the award of the Engineering, Procurement, Construction and Commissioning (EPCC) Contract for the project in March 2013. Petronas LNG Assets vice president Dzafri Sham Ahmad said the announcement yesterday was the culmination of a historic journey for the company. “This is a testament to our dedicated employees and contractors, the support we received from the state government, local authorities and communities, our customers and shareholders, and of course Petronas’ commitment. “I am proud that we have been able start production from Train 9 and this will further strengthen Petronas’ position in the LNG industry,” he said in a statement. Meanwhile, head of LNG Malaysia Pau Kiew Huai went on to recognise the effort put in by the teams behind the operations, adding that: “It is the seamless collaboration and synergy between the start-up and project teams that has made today a reality. Train 9 reached the Ready for Start-Up (RFSU) status in June 2016. It has a production capacity of 3.6 million tonnes per annum and is expected to commence commercial operations in the first quarter of 2017. 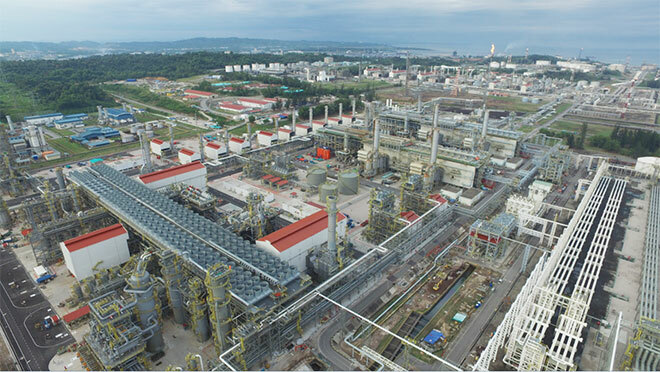 With the addition of the state-of-the-art liquefaction plant owned by Petronas LNG 9 Sdn Bhd (PL9SB), PLC will now have the capacity to produce approximately 30 million tonnes per annum. PL9SB was incorporated in 2012 as a wholly owned subsidiary of Petronas to own the 9th LNG liquefaction Train at PLC. JX Nippon Oil & Energy (JX NOE) has recently acquired a 10 per cent stake in PL9SB.